So before I jump into my post, let me just share a fact about me which I doubt I've ever mentioned here on my blog before. I have always had an insecurity about my teeth, first being the shape of them and secondly the colour of my teeth. I have to admit that I don't exactly have a nice set of pearly whites which is one of the main reasons why I don't smile with teeth! If you've noticed in 99.9% of my pictures even from way back when I started blogging, I have hardly ever smiled with my teeth haha. It wasn't until I found my answer with Lush Aesthetics! Lush Aesthetics is a medical clinic specializing in aesthetic treatments ranging from head to toe and one of their known treatment is the Led Teeth Whitening Treatment. Our teeth suffers discolorations from various factors – aging, smoking, coffee stains, wine stains and medication. The LED Teeth Whitening brightens and lightens your teeth dramatically in less than an hour. After making an appointment to drop by and try out my first session, I honestly was super excited as I couldn't imagine myself with whiter teeth! 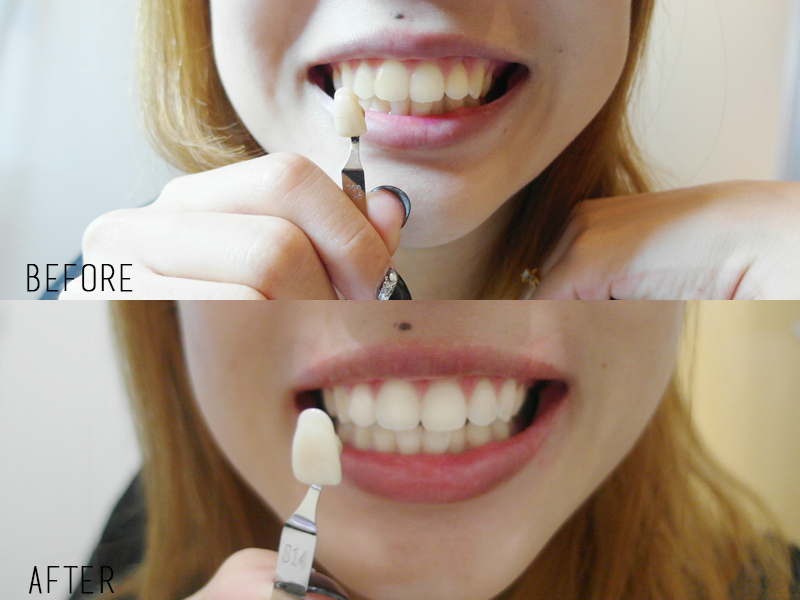 (which was the main reason why my teeth were so stained) and how white I wanted to or can achieve after my session. I got to compare my teeth and see which shade it closely resembles to so that a difference can be gauged after the treatment has ended. 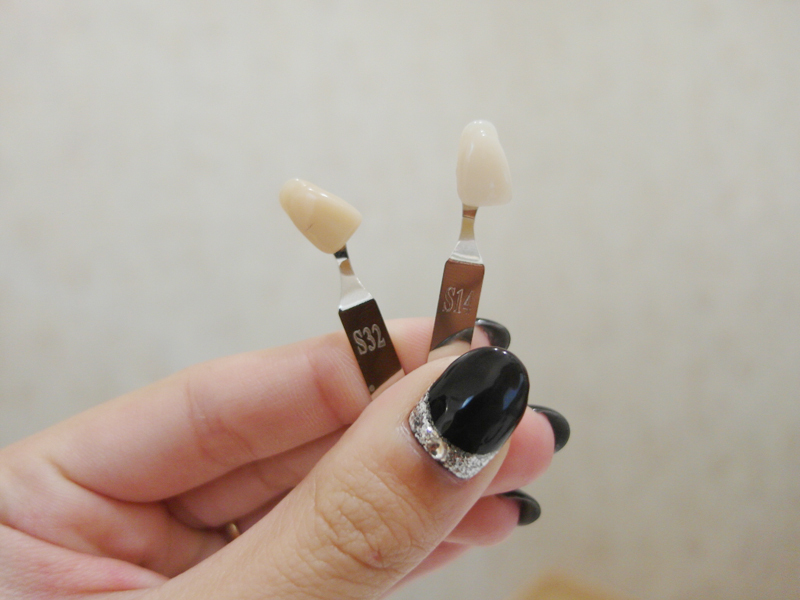 Embarassing to say my teeth fell within the ones at the back... (last being the yellowest, haha) and at that moment I was so determined and looking forward to at least see them fall within a lighter shade after my session! So yes, as you can see (above) that is the true color of my teeth before. 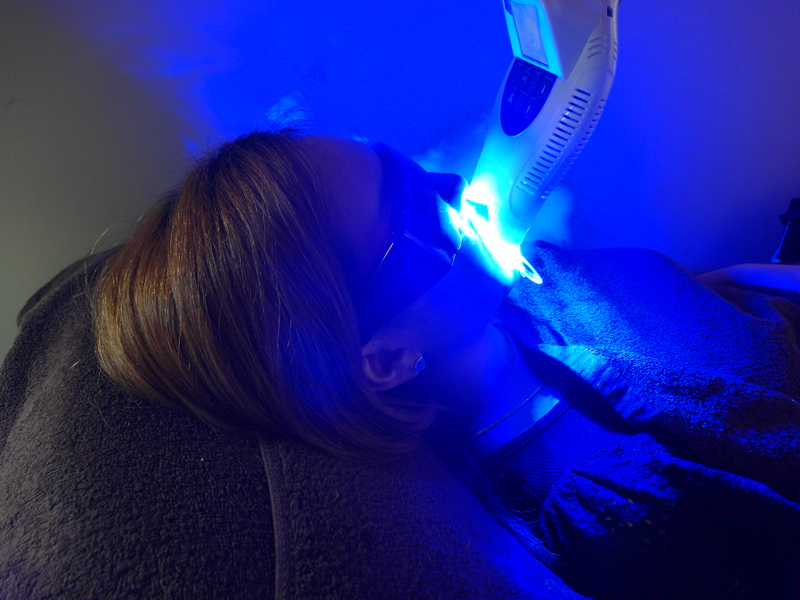 I was ushered into a cosy treatment room where I was to go through 2X sessions, 20 minute each of Led Whitening treatment. The process involves applying a non-peroxide whitening gel on your teeth. 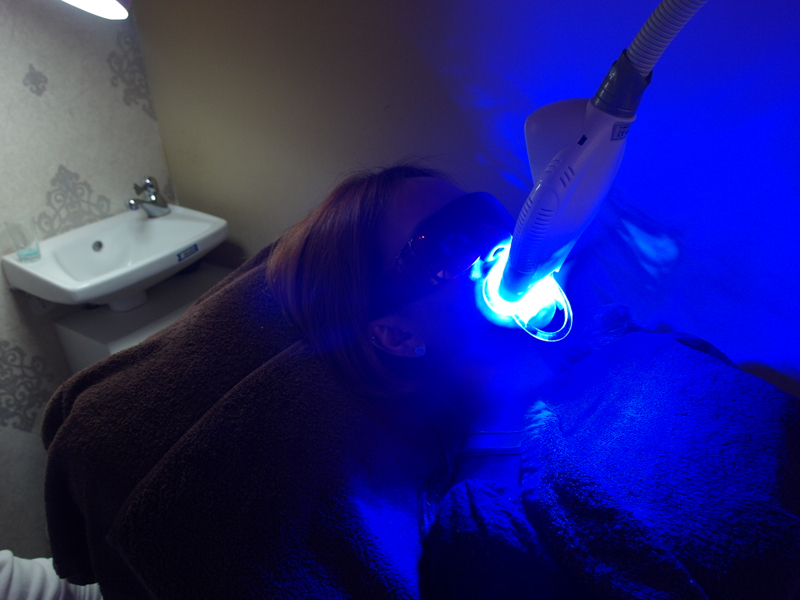 Subsequently, the LED light will activate the whitening gel which would then whiten and brighten your teeth. The upper and lower teeth are treated at the same time. No heat, no needles, and no drills are used during the procedure. Here's a side by side comparison! I was also informed of the possible side-effects that could come after the treatment, such as increased sensitivity when drink cold water and white spots on teeth (these happens only for a few days) so that was perfectly okay for me! The effect of the treatment is long lasting and with proper care will last for a long time, I now will remember to brush my teeth after drinking tea so it will not stain my teeth again! Thank You Lush Aesthetics for restoring my confidence in smiling with teeth again without having to worry about them looking stained and yellow! "LUSH-DONNA-TW$188" in the form to enjoy this promotion!